SolarWinds QoE | CCIE or Null! Networking Field Day – Afterwards – New SolarWinds features. One thing I really liked about SolarWinds was the fact they were the first vendor to start with a white board discussion. Being a network engineer I am a big fan of drawing boxes and lines on a white board. To me it is a more engaging way to have a presentation compared pre-built PowerPoint slides with fancy sounds and motions. SolarWinds initially started with a architecture overview of their product, involving each of their modules and how these modules are incorporated into the entire eco-system. If you are not familiar with this I highly recommend starting with that session. Now to talk about the new announcements SolarWinds and the features that will be included in their newest releases. 1. Wireless Heat Map – I’ll admit (and this won’t be a surprise to any of my usual readers) I have been following this feature on the Thwack Forums through the different beta’s for some time now and it’s really had my attention since the initial announcement. I was very curious to see how this would match against other solutions such as MSE Controllers and other site survey tools. While this feature might not be as fully featured as the previous mentioned solutions, this is great addition to SolarWinds arsenal and will definitely be useful for smaller shops that run WLANs. However, also keep in mind this is the first implementation of the functionality and if Solarwinds has proven anything over the years they take an idea and run with it! 2. QoE – Quality of Experience. This in my opinion is one of the greatest new features SolarWinds has added in a long time. A trend I have been seeing over the years is the fact network monitoring needs to go beyond the typical Up/Down & Interface utilization model especially with the adapting trend of 10G, 40G, & 100G infrastructure (and there are some multi-GB architecture getting thrown around nowadays to). 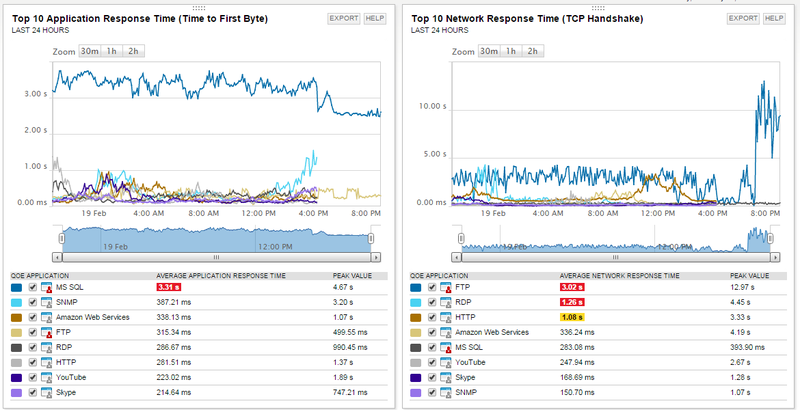 It’s time to start monitoring closer at the application level and that is what SolarWinds is starting to do. Remember one of the biggest factors of Network monitoring is the perspective in which you are monitoring the network! take into account where you deploy these QoE sensors and how you interpret the statistics! 3. 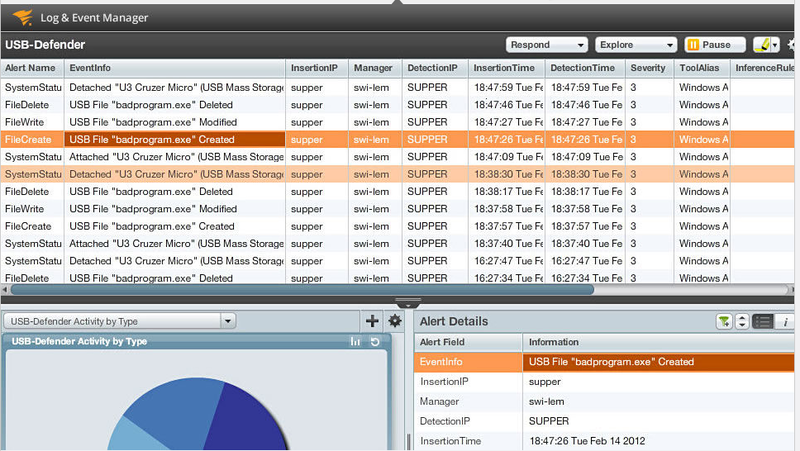 LEM – SolarWinds also did a presentation of their Log & Event Viewer, which I found very useful. I’ve known about this product for a while, however I was not quite sure how it goes up against a typical syslog collection. As it turns out the SolarWinds LEM product is in a league of it’s own touting to be a full SIEM product. One thing that makes LEM a little unique is the fact it is a completely separate & isolated product not tied into any other SolarWinds product.